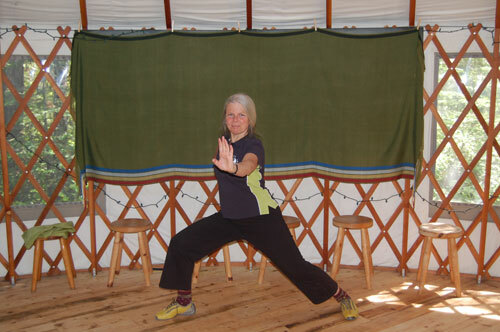 Though we start slowly, this can build into exciting, dynamic movement, good for developing strong bones, focus, good posture, flexibility and loosening the joints. Practising the forms helps to build up your Qi and improve your circulation. We also develop our light body. The style came from the Northern Shaolin Temple in Henan Province and was passed down through a famous Beijing Opera trainer called Wang Ping to Michael Tse’s teacher: Wu Chun Yuen. The Chinese enjoy operas that depict the history of their Generals and heroes, full of excitement and energy. Michael Tse has named this style Chun Yuen Quan to honour his teacher. Quan means ‘fist’. 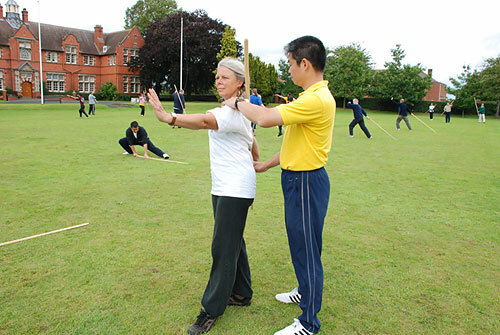 There are bare handed forms to learn, such as Xing Shou (Style Hand) and Da Bei Gong (Great Sadness Gong) as well as weapon forms, such as Damo Staff. 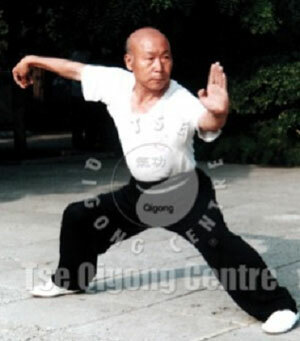 We begin the curriculum with Xing Shou as it is good for introducing the Chun Yuen attitude, some basic postures and the definiteness and clarity of the movement. Almost immediately you feel the benefits as your circulation and stamina improves and your body feels stronger, yet lighter. Da Bei Gong means Great Sadness Gong. In Chinese 5-Element theory, sadness is connected with the lungs. In this form, the movements make our lungs stronger and therefore help with any illnesses connected with the lungs, such as asthma and depression. This is very fun. This is a simple weapon that used to be carried by the monks from the Shaolin Temple. The staff is about eyebrow height and we learn to maneuver it in ways that help our joints to release and yet all the benefits of the bare-handed forms also apply, with the strong postures and large movements which build up heat and Qi in the body which is very beneficial for people suffering from maladies arising from damp conditions, such as arthritis, and so is well suited to the West Coast!